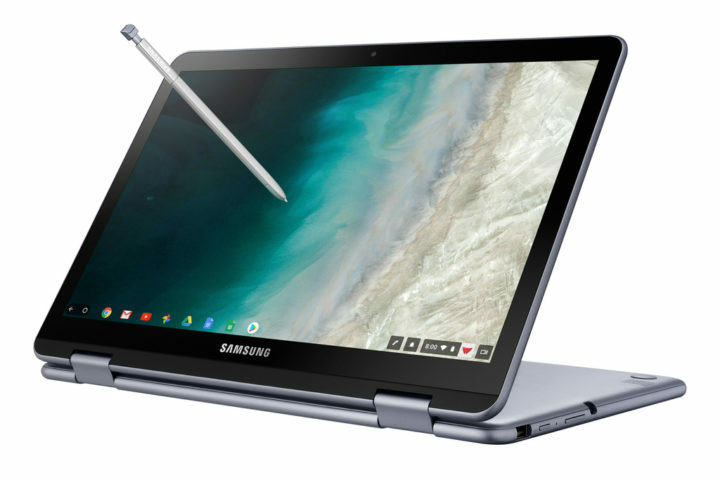 Samsung announced the Chromebook Plus at the Consumer Electronics Show in January last year and released it the following month. It was one of the few Chromebooks on the market at that time that came with the Google Play Store installed out of the box. Samsung today launched the successor to this device and while it doesn’t bring any major design changes, it does come with upgraded internals which includes a more powerful processor. As far as the design is concerned, Samsung hasn’t really made any changes to the Chromebook Plus V2 so it looks quite similar to its predecessor, not that it’s something that would deter you from purchasing this Chromebook. Gone is the 2GHz ARM processor of its predecessor which has been replaced by a more powerful Intel Celeron 3965Y that’s paired with 4GB of RAM and Intel HD Graphics 615. It ships with 32GB of storage that can be expanded up to 400GB with a microSD card. The Chromebook Plus V2 also features a 39Wh battery. The front camera has been upgraded to 1-megapixel while there’s a 13-megapixel camera next to the keyboard as well which serves as the rear-facing shooter when the device is in tablet mode. Other specs include two USB Type-C ports, one USB 3.0 port, a 3.5mm headphone jack, and a built-in stylus. Last year’s model had a 12.3-inch 3:2 aspect ratio 2400×1600 pixel resolution display but it has been swapped on the V2 for a 12.2-inch 16:10 aspect ratio 1920×1080 pixel resolution display. Make that what you will of it, many would have preferred if Samsung had actually improved the device’s display. All of this is packed inside an aluminum alloy chassis that measures 11.34 x 8.19 x 0.63-7.0 inches and weighs 2.93 lbs. Samsung has confirmed today that the Chromebook Plus V2 is going to be available for purchase starting June 24 from BestBuy.com and the retailer’s physical stores. 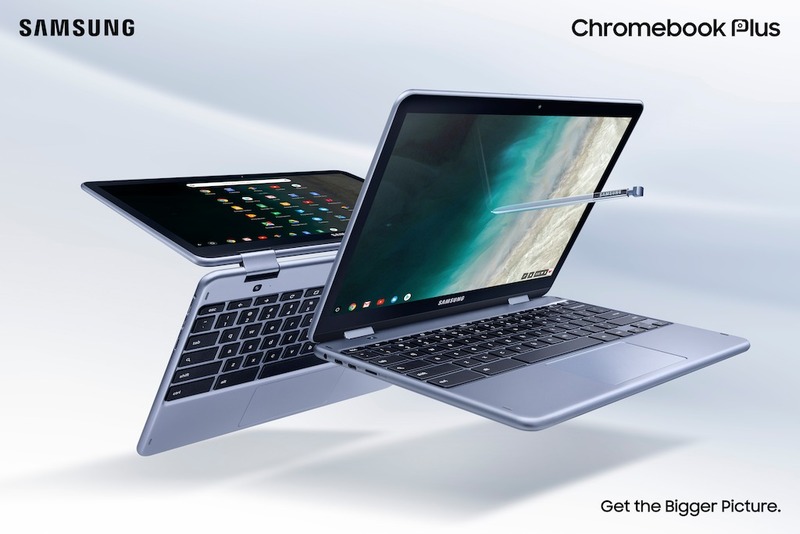 It’s charging $499 for the Chromebook. It has already launched a slightly refreshed model of the Chromebook Pro which features a backlit keyboard.